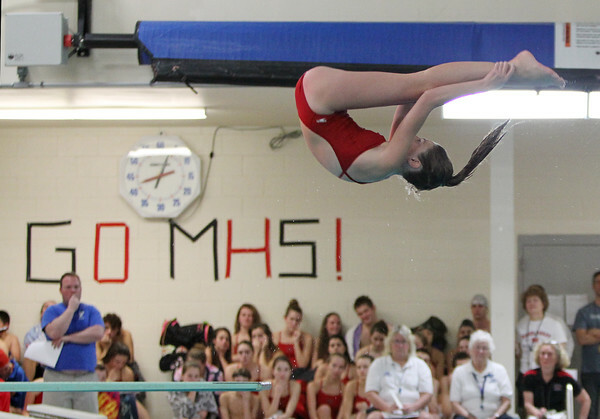 Marblehead diver Ryan Driscoll flips off the diving board in front of her watching teammates against Beverly at the Lynch/van Otterloo YMCA in Marblehead on Tuesday afternoon. DAVID LE/Staff photo. 1/13/15.